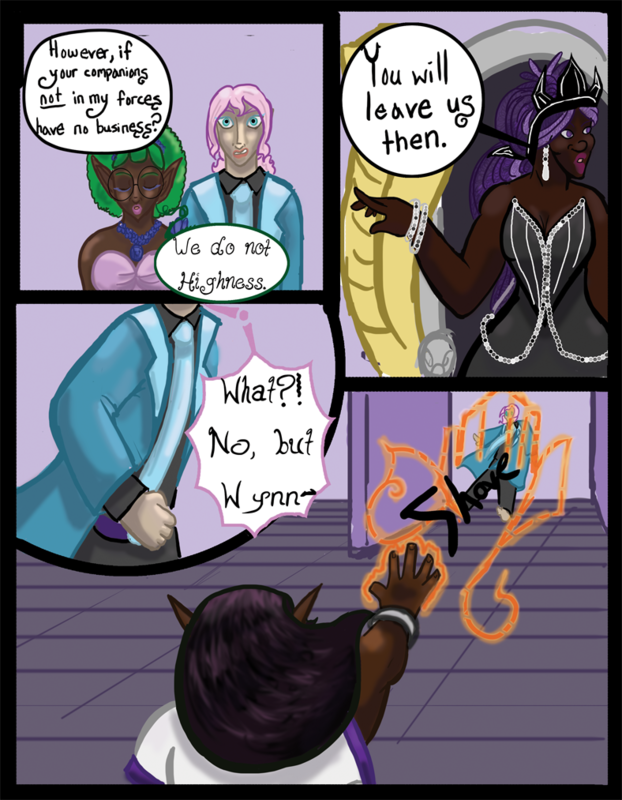 Chapter 05- Queen Nazmah - "Chapter 5 Page 9"
Queen Nazmah: However, if your companions not in my forces have no business? Shirley: We do not Highness. Queen Nazmah: You will leave us then.